Home » Cloud » Amazon WS » AWS re:Invent 2018 is Coming – Are You Ready? As I write this, there are just 138 days until re:Invent 2018. My colleagues on the events team are going all-out to make sure that you, our customer, will have the best possible experience in Las Vegas. After meeting with them, I decided to write this post so that you can have a better understanding of what we have in store, know what to expect, and have time to plan and to prepare. We started out by talking about some of the challenges that come with scale. Approximately 43,000 people (AWS customers, partners, members of the press, industry analysts, and AWS employees) attended in 2017 and we are expecting an even larger crowd this year. We are applying many of the scaling principles and best practices that apply to cloud architectures to the physical, logistical, and communication challenges that are part-and-parcel of an event that is this large and complex. Campus Shuttle – In 2017, hundreds of buses traveled on routes that took them to a series of re:Invent venues. This added a lot of latency to the system and we were not happy about that. In 2018, we are expanding the fleet and replacing the multi-stop routes with a larger set of point-to-point connections, along with additional pick-up and drop-off points at each venue. You will be one hop away from wherever you need to go. Ride Sharing – We are partnering with Lyft and Uber (both powered by AWS) to give you another transportation option (download the apps now to be prepared). We are partnering with the Las Vegas Monorail and the taxi companies, and are also working on a teleportation service, but do not expect it to be ready in time. Session Access – We are setting up a robust overflow system that spans multiple re:Invent venues, and are also making sure that the most popular sessions are repeated in more than one venue. Improved Mobile App – The re:Invent mobile app will be more lively and location-aware. It will help you to find sessions with open seats, tell you what is happening around you, and keep you informed of shuttle and other transportation options. 4K and 8K Charity Fun Run – Start your day with a fun run that supports Girls Who Code. We Power Tech Happy Hour – Celebrate inclusion in tech. Tatonka – How many chicken wings can you eat? This year we will attempt to surpass the Guinness World Record that we set last year. Broomball – Build a team and compete on a grass field. You can also take advantage of our mother’s rooms, gender-neutral restrooms, and reflection rooms. Check out the community page to learn more! Register – Registration is now open! Every year I get email from people I have not talked to in years, begging me for last-minute access after re:Invent sells out. While it is always good to hear from them, I cannot always help, even if we were in first grade together. Watch – We’re producing a series of How to re:Invent webinars to help you get the most from re:Invent. Watch What’s New and Breakout Content Secret Sauce ASAP, and stay tuned for more. Plan – The session catalog is now live! View the session catalog to see the initial list of technical sessions. Decide on the topics of interest to you and to your colleagues, and choose your breakout sessions, taking care to pay attention to the locations. There will be over 2,000 sessions so choose with care and make this a team effort. Pay Attention – We are putting a lot of effort into preparatory content – this blog post, the webinars, and more. Watch, listen, and learn! Train – Get to work on your cardio! You can easily walk 10 or more miles per day, so bring good shoes and arrive in peak condition. Participating sponsors are a core part of the learning, networking, and after hours activities at re:Invent. For APN Partners, re:Invent is the single largest opportunity to interact with AWS customers, delivering both business development and product differentiation. If you are interested in becoming a re:Invent sponsor, read the re:Invent Sponsorship Prospectus. For re:Invent attendees, I urge you to take time to meet with Sponsoring APN Partners in both the Venetian and Aria Expo halls. Sponsors offer diverse skills, Competencies, services and expertise to help attendees solve a variety of different business challenges. Check out the list of re:Invent Sponsors to learn more. Once you are on site, be sure to take advantage of all that re:Invent has to offer. If you are not sure where to go or what to do next, we’ll have some specially trained content experts to guide you. I am counting down the days, gearing up to crank out a ton of blog posts for re:Invent, and looking forward to saying hello to friends new and old. PS – We will be adding new sessions to the session catalog over the summer, so be sure to check back every week! 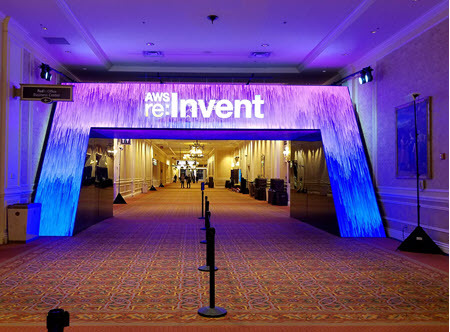 Article Source: AWS re:Invent 2018 is Coming – Are You Ready?